More and more, I’m eating and drinking flowers. Plants put their all into flowering and fruiting. In the past, especially with herbs, I’ve pinched off the leaves but left the flowers behind. Now one of my favorites is lemon balm glycerite. So great in any cup of tea or infusion! 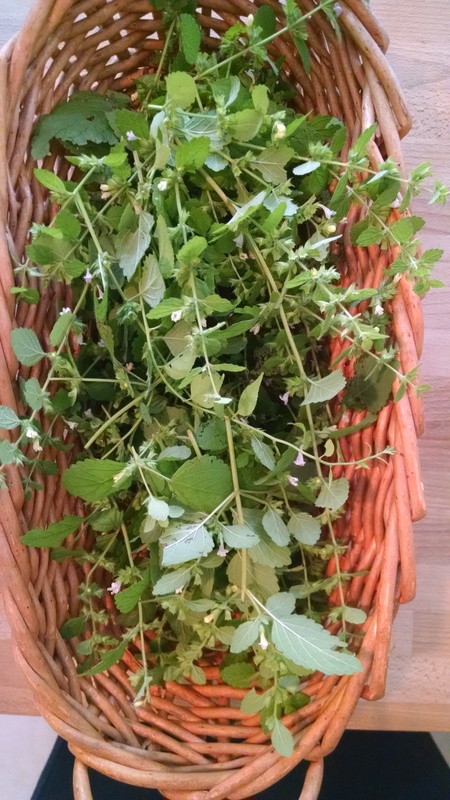 Lemon balm is great for the nervous system and mellows my mood. This year, I waited for the little yellow-white flowers to unfurl before harvesting. “Relax!” says lemon balm and her quiet flowers. Next Next post: Pursue the dream!